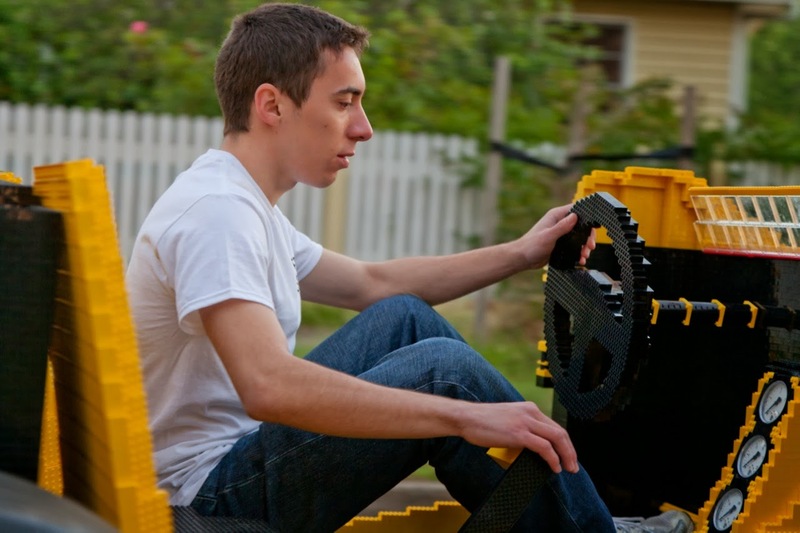 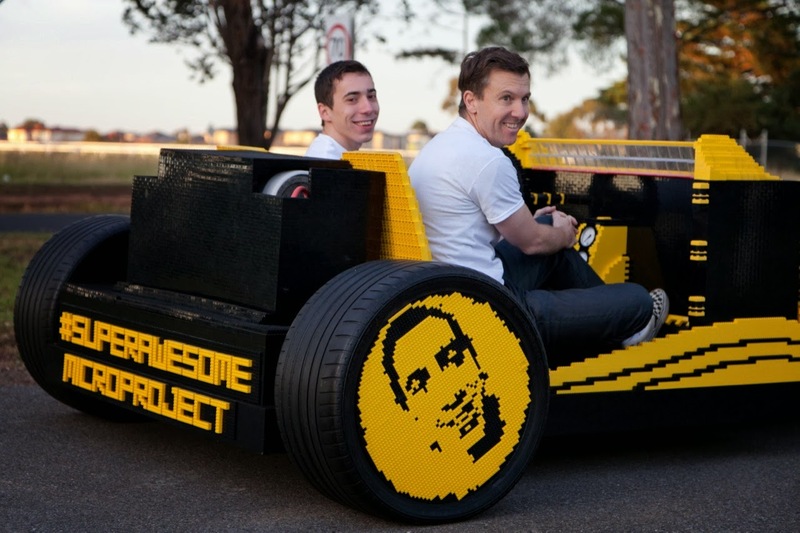 Fully Functional Air Powered Life Size LEGO Car! We've featured several amazing LEGO projects in the past few years like this Porsche 917K or this RC Pagani Zonda and we've always used the expression "fully functional" to describe the level of details that these LEGO geniuses achieved with their creations. For example, the 917K had a centrally mounted flat twelve engine, just like the real deal. It also had a 4-speed gearbox that you could operate manually. 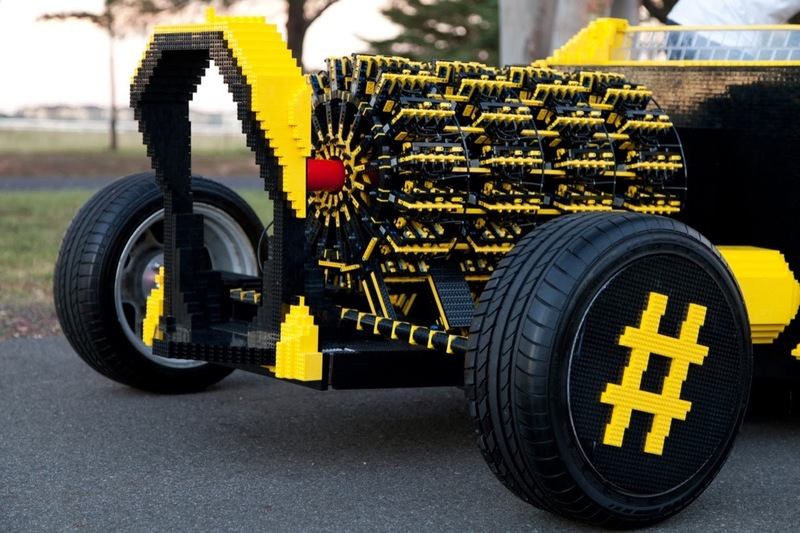 The Zonda could even be remote controlled. 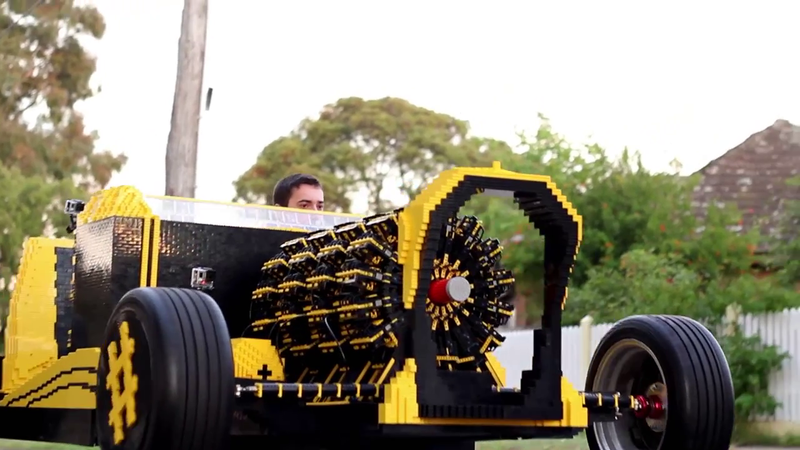 But this life size LEGO made hot rod makes our perception of the expression "fully functional" sound absurd. 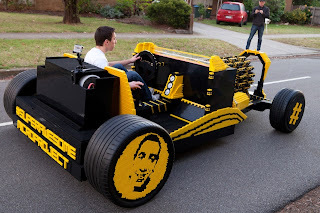 Because you can actually get behind the wheel of this car and drive it, very slowly. The project involves a guy from Melbourne who came up with this crazy idea and a gifted guy from Romania who took care of the mechanical aspect. 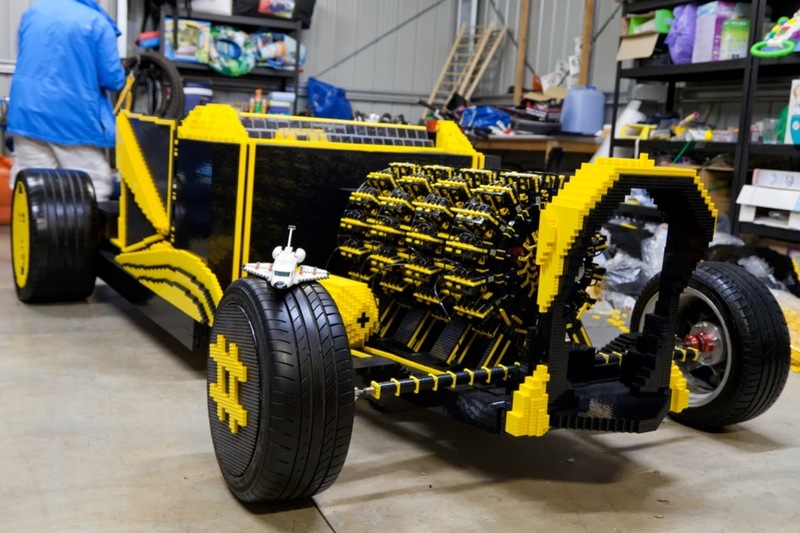 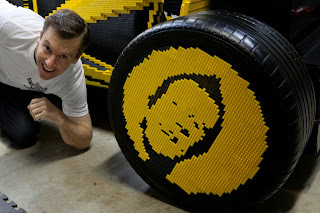 The result is a 500,000 LEGO piece hot rod powered by a compressed air tank that operates four orbital engines with 64 piston each.